HomeArticlesSupporting Galloway with a Fraction of the Support He Has Shown Us! It is unsettling that a Palestinian movement would distance itself from a man like George Galloway, and even so without any qualifications acknowledging his unyielding commitment to justice for Palestinians. No matter where we were or what criticism the world hurled at us, Galloway never waivered in standing by our side. He is and always has been a good friend. That must be honored, even in situations where his views are perceived as not fully aligned with one Palestinian group or another. Because human relationships of solidarity in a resistance struggle matter. Because he has done nothing egregiously out of line. Because he has never done anything injurious to us. To the extreme contrary. And because a resistance movement should be careful not to become an institution that gets lost in the cold prose of its own dictates and statements that it loses sight of the fire that ignited it in the first place or the warmth of the human solidarity that feeds it. While a seemingly large portion of Palestinian society (there are no polls to support this, however) embraces the platform of BDS, myself included, its central committee was not elected and does not represent the will of Palestinian people. I hope we are not witnessing a central committee that is becoming a gatekeeper of Palestinian activism. There was nothing at all wrong with George Galloway refusing to engage Israelis. He didn’t claim to speak for BDS or for the Palestinian people in doing so. So, there was no reason for BDS to issue a statement. The statement provided a gloating opportunity for Galloway’s haters. Immediately following the statement, Rachel Shabi, apparently an Israeli ‘activist’ I had never heard of before, wrote a piece for the Guardian in which she couldn’t resist a personal insult to George Galloway, suggesting that his goal was to “generate publicity for himself” rather than supporting Palestinians. She went on to praise the statement by BDS, ostensibly because it may help to overcome what she clearly thinks is an important goal for BDS – to gain the support of leftist Israelis. Since when does that matter? And why should they matter? BDS is firmly grounded in principles that are adherent to tenets of international law and basic human rights. Adjustments or amendments should never be made to appeal to one group or another. Why is it not enough for BDS to simply state its three guiding aims? I fail to see how it is an “obvious” truth that Palestinians must talk to Israelis. If she is of the belief that our only path to liberation is through talking to the thieves and racists who have robbed and oppressed us, then she is sorely mistaken. I further can’t help but raise an eyebrow when someone with such ideas is championing BDS. Finally, let me just make an important statement that this article is not meant to provide support in petty arguments of those who are critical of BDS. Rather, I put it forth to first, to show George Galloway a fraction of the support he has shown to us over the years. And second, to provoke thoughtful discussion on the nature of the boycott campaign, because, frankly, I want to see this movement grow to an expansive, global campaign that takes humanity another step closer to universal dignity; one that supports the valiant struggles of hunger strikers, villagers using their bodies to protect their lands, and ordinary human beings trudging through the terrain of racism to earn a daily living or get to school. Publicly rebuking our friends is antithetical to its success. Let BDS remain a movement grounded in human rights and nurtured by the solidarity of those who passionately believe in and fight for those rights. Let it be a movement that intuitively recognizes friends from foes. And let it never ever make a move to appease. – Susan Abulhawa is the author of the international bestselling novel, Mornings in Jenin, and the founder of Playgrounds for Palestine, a children’s NGO. Autographed copies of her book can be purchased here. She contributed this article to PalestineChronicle.com. Susan, I agree with everything you say above, including the dots on the i’s and the crosses on the t’s. Was Galloway trapped into a confrontation that he deemed a waste of time and breath? Who was the Israeli and what perspective was he coming from? I myself may have refused to debate him depending on answers to these factual questions. And whatever one says about Galloway, he is no fool. I agree that BDS should have kept out of this controversy. Susan, I’d like to comment regarding the BDS national committee’s “distancing” itself from Galloway. For a boycott to work it must have clear guidelines as to what is subject to boycott and what is not. As they stand, the guidelines are that individuals are not subject to boycott merely for being Israeli – in other words, when we boycott, for example, the Israel Philharmonic, we are boycotting the institution, not the musicians themselves. And it is important that boycott criteria be consistently followed, else BDS loses integrity. Now, after Galloway’s sudden exit, Zionists wrongly characterized BDS as victimizing individuals. Therefore, I think it was essential that a statement be issued setting straight the guidelines, and that while Galloway was free to boycott according to his own judgement, it was his, not that of the formal boycott. It was appropriate that BDS not let Zionists exploit the discrepancy. For a boycott to work it must have clear guidelines as to what is subject to boycott and what is not. twitters bds links requiring facebook login to look at, then I am banned from boycotting israel, because I didn’t obey holy bsd-guidelines? 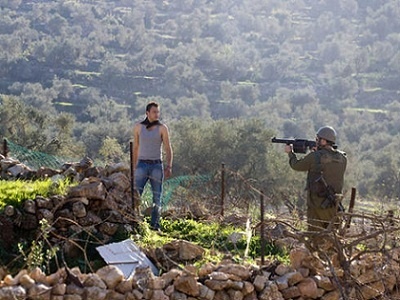 As 4 panel debating idf-soldiers at gunpoint, me not. Elsewhere I saw civil idf-soldiers ignorant hashbara-postings. The only thing I would ever disagree with from any pro-Justice activist is a call to violence. Galloway did nothing of the sort. Though I disagree with what he did, and there are some particulars that I disagree with in regards to some BDS strategies, I will NEVER criticize them as they are rooted in peace activism. We will all have our differing opinions in regards to how to carry out the particulars of our activism. But this is not a justification for getting in each other’s way when we are all holding fast to the rope of peaceful resistance and change through our voice and non-violent action. George Galloway had just spoken in support of a motion calling for an immediate ‘israeli’ withdrawal from it’s siege of Gaza and occupation of the West Bank. The ‘israeli’ was opposing the motion. His form of words made George suspect that he was a zionist ‘israeli’ so he challenged him on that. His suspicions confirmed he made the statement of his position and left. Fully justified in my view. 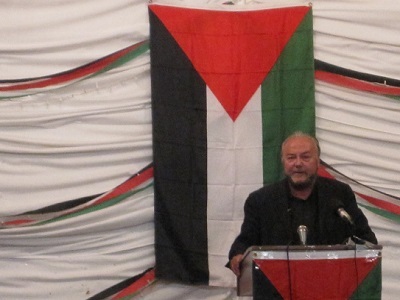 George Galloway is an amazing voice for Palestinian rights. Yes, he gets himself in front of cameras and microphones, but he uses his voice and visibility to say what needs to be said and heard, not going on about himself or his personal/political ambitions. Some “leaders” of BDS and other “peace” groups, on the other hand, seem more interested in keeping control of the message, than in supporting Palestine. Is this because they want to use BDS as a stepping-stone to build up their own importance? Is this why they worry so much about offending Zionists? Galloway you are the best, I wish you come to Syria very soon, as you said we have a lot of terrorists but our brave army will get rid of them, thankyou for your support , we love you. Tom (comment 4): Just keep honing that boycott, playing boycott politics and accommodating extremists like Galloway, and we evil Zionists will just keep going ahead building a decent, prosperous, democratic society in Israel for all citizens (Arabs in Gaza/WB are not citizens). Shame you couldn’t watch my nieces on skype last week playing in a Galilee park – Jewish & Arab kids together, and Africans & Asians, and not a boycott in sight. You know in your heart that I’m right. Pity that the Arab countries and Arab societies don’t follow Israel’s lead and are so eaten with hatred. Your boycott joke just encourages them, but that’s your/their problem, not ours. BTW I don’t boycott you. George Galloway might have overreacted when refusing to debate the motion of Apartheid Israel with an Israeli citizen, but he most certainly should be admired for his courageous stance against the Iraq war and his dedication to the Palestine Solidarity Movement . George always debated and defended most convincingly the Palestinian cause on LBC radio where Jews and pro-zionists exacted a strong pressure on the proprietors of the station to sack him – with eventual success . As an Israeli-born citizen and human rights activist (who resides now in London), I am only too aware of the pressure Israelis and pro-Zionists could extract on those who take a stance against Israel’s policies . A number of Israeli ex-friends of mine, including close family relations ,cut off any contacts with me for supporting the Palestine Solidarity Movement and BDS. I, along with Jewish colleagues in Britain , have been suffering a continued verbal abuse and smearing campaign , constant interfering and hacking of our e-mail accounts and ,on occasions , attempts of physical violence. I , therefore , could understand ,and have some sympathy for, George’s refusal to debate Israel’s policies with a young ex-soldier, Israeli citizen. Nevertheless, I regret that George did not take the opportunity to win over the audience with his unbeatable debating and rhetoric skills which have been so apparent in public rallies against Israel’s onslaught on Gaza , and various other protest campaigns undertaken by the Palestine Solidarity Movement and the coalition against the Iraq war . Moreover,Galloway has been leading ,and taking part, in six convoys to Gaza for which he was pronounced as “terrorist” by the Israeli intelligence. http://www.terrorism-info.org.il/en/article/18025 . His behaviour may have been seen by the public as controversial due to the support Israel’s policies receive from most of the establishment and main-stream media. Yet, he is fully committed to expose the inhumanity of the Israeli military siege on Gaza which brings the 1.5 million residents of the Strip (half of them children and minors) to the brink of starvation and deprive them access to medical care , social services, decent housing (having their homes demolished by the constant bombardment and shelling of the Israeli forces ), clean water and sewage treatment facilities as well as an adequate electricity, gas and oil supply which is prevented by Israel’s main control of public utilities, and of the movement of goods and material into Gaza . The world seems to keep its damning silence about the inhuman conditions which Israel imposes with impunity on the residents of Gaza Strip , but George Galloway courageously takes a stance against those brutalities and is not prepared to let Western leaders to have abandoned the people of Gaza and the West Bank. Dear Ruth, I totally agree with you saying “I regret that George did not take the opportunity to win over the audience with his unbeatable debating and rhetoric skills”. His fault was that of a passionate man: he acted in haste, leaving the room with a confused impression. The youthful audience may already have been feeling a little nervous. I suspect that not many – if any – had the necessary background knowledge to understand George’s reasons for his sudden outburst when all at once he said to the Israeli: “Just a minute! You said ‘we’. Are you an Israeli?” I sensed it was the young man’s identifying with the State of Israel that was George’s red line, and I applaud him for refusing to cross it. But I fear it was a fateful own-goal: the empathy of the audience at that point was quite likely more on the side of the young man, if for no other reason than out of their sense of embarrassment at the situation. They may never have an opportunity – or wish – to hear George ever again. I would support George Galloway on his stance on Palestinians and Gaza though not on a lot of the other things he says and does, At times he makes it easy for those who oppose the truth he speaks to ridicule him which undermines him and what he says when he does speak out for truth and justice. We in the West want our politicians to be simple to understand as they tow a party line which is not dissimilar from one party to the next, We need men like him who can speak out but whose sadly their lives need to be above reproach and the decisions they make always need to be shown by history writers to have supported the right side. Thanks for this Susan. I have great respect for George Galloway. 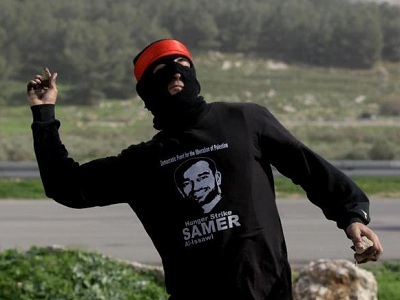 He’s a courageous and powerful advocate for the Palestinians. He says things as they are. Thanks also for your wonderful novel, ‘Mornings in Jenin’. I cried my way through its pages. The young Oxford student whom Mr Galloway declined to discuss with had previously praised the IDF and also views Alice Walker’s views on Palestine as “disturbing”.